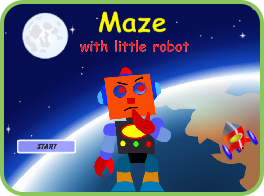 Maze With Little Robot Our Robot friend has lost his spaceship. Help him find it by solving this maze. 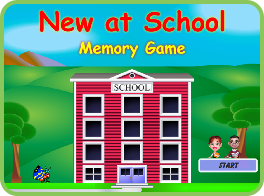 New at School, Memory Game You can enhance your focus and concentration with this Memory game. Find out who is new at school. 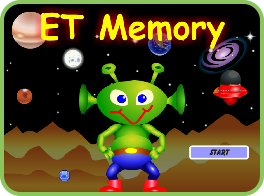 ET - Memory Test your concentration and memory by helping the Martian to become a space pilot. 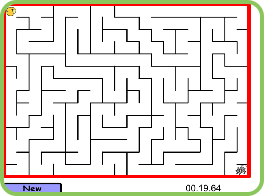 Mouse in Maze Didi Mouse is very hungry, help him to get to the cheese by solving this maze. 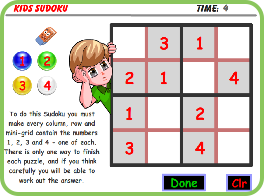 Kids Sudoku Do you like to exercise your brain? This game is for you! This is the kids version of the popular Sudoku game. 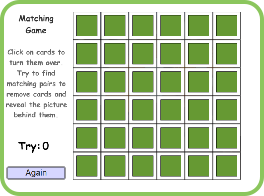 Concentration, Memory Game Practice your concentration skills with this clasic Memory Game. Have fun! 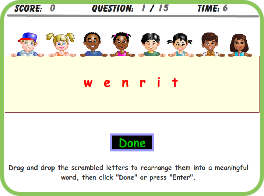 Word Scramble Improve your word and spelling skills. Rearrange the scrambled letters to form a valid word. For kids and children of Grades 1-5. 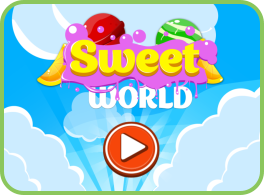 More than 1,000 words to play! 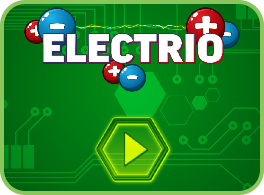 Electrio, Mind Puzzle Connect protons (positive) and electrons (negative) in this challenging mind puzzle. Now, are you ready for a challenge? Guess a Word Improve your vocabulary with our non violent version of Hangman. Guess the letters in a hidden word and help the dog not to fall inside the pool. More than 1,500 words to play! 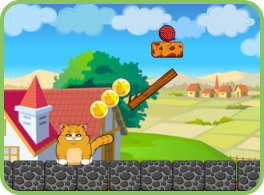 Playful Kitty, Cute Puzzle Help kitty to get back its ball. There are 24 levels of fun, thinking and planning for children of all ages.